Casa Atlantica Hotel is the first Brazil-located architectural project of Zaha Hadid Architects, a bureau founded by the late Zaha Hadid. She was the first woman to receive the Pritzker Architecture Prize and one of the most original and creative contemporary architects. One of her last projects is also quite non-standard. 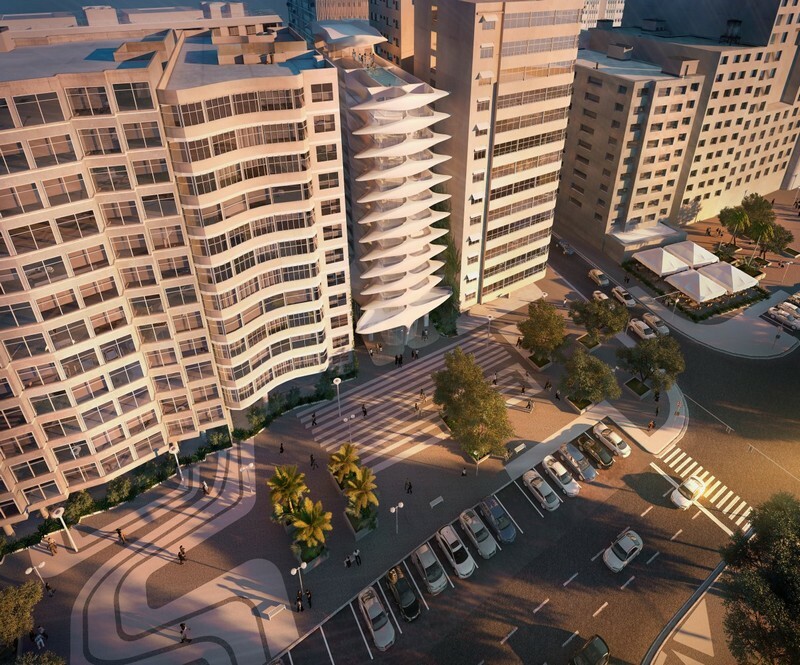 It’s a hotel that will soon appear on the coastline of sunny Rio de Janeiro. Its architecture resembles a spine composed of a number of fancifully shaped balconies. Such an unusual design will distinguish the hotel from plenty of typical buildings around, which would contribute to the touristic attractiveness of the entire neighborhood as well. Besides, distinctive architecture would give Casa Atlantica a chance to catch the eyes despite the fact that it’s fit into a very narrow gap between the two adjacent buildings. 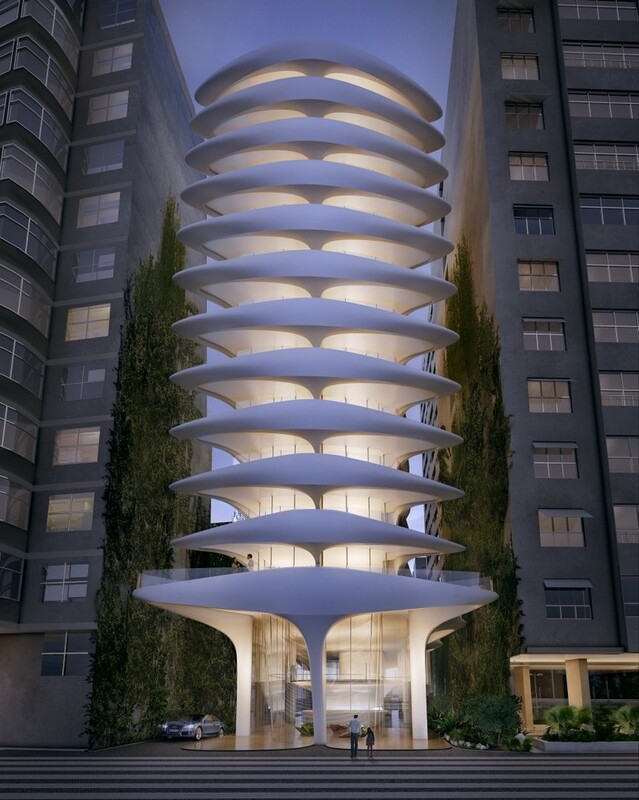 The height of the building is also limited – this time by the Brazilian law. The tower will comprise just 11 floors and include 30 luxury apartments. The hotel is expected to be 6-star, with a roof swimming pool, a cinema and a SPA-center. 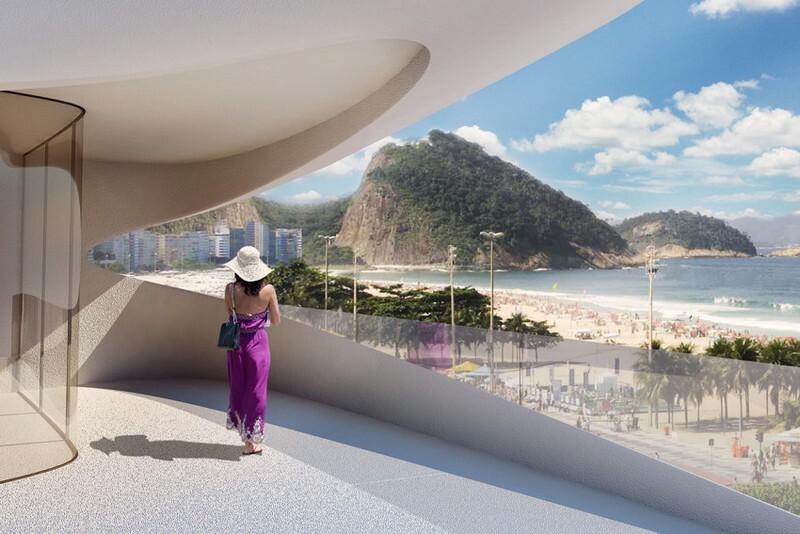 The architects believe that a spine shape of the building facade is the best possible way to symbolize rapid development of the famous Copacabana beach and the twists and turns of the dynamical embankment. Besides, today’s Rio de Janeiro has obviously set his heart upon modernistic architectural and interior trends.